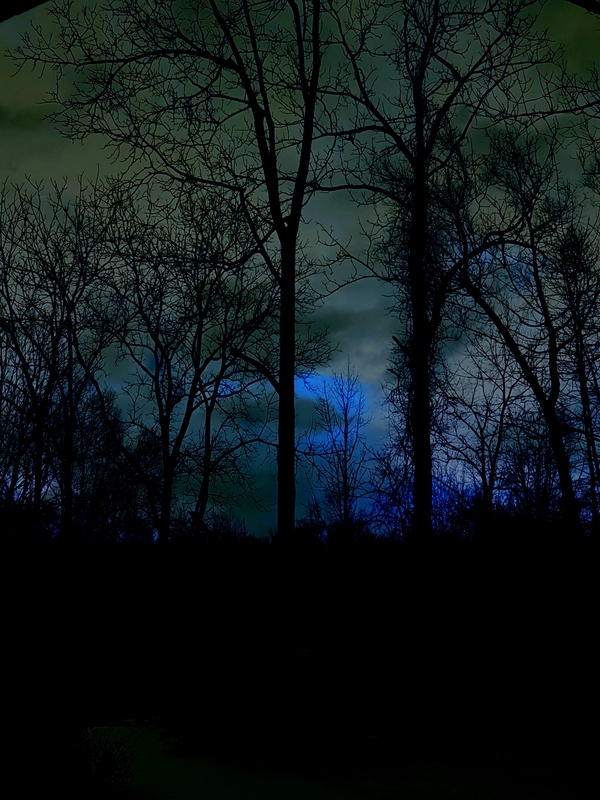 I awaken to moonlight– it is at that particular slant that lights up the front yard at 3 AM. What really has awakened me is my husband’s breathing. It is labored like he has just run up a flight of stairs. At times I awaken because I do not hear his breath and some alarm goes off in my head to check him. And if I can not hear him breathing I put my hand lightly on his chest so as not to wake him to see if I can feel the his heart beating. Feeling it pulsing in my hand I am reassured once more. I am not alone in this. My sister-in-law confides in me that she wakes up at night to listen to my brother to see if he is still breathing. My first-grade friend says much the same. She does a breathing check on her husband. Our husbands are relatively well. They have diabetes, heavy smoking and drinking, a delicate frame among them, but they are not on death’s door so far as we know. And yet we are plagued by morbid fears. In the wee hours of morning fears loom large. My husband’s heartbeat, a mere flutter, seems so delicate. I am reassured that it is beating just as I am reassured that he is breathing. But the breath itself is so fragile. It scares me awe-fully– the fragility of the breath, the fine line between breathing and cessation of breath. I prowl the house. Through the skylight the stars beam brightly along with a shining half moon. A clear day tomorrow. But it is already tomorrow. It is so still my ears hum. My husband, who knows so many interesting things, tells me the humming I hear is the sound of the nervous system. Our bodies hold such mystery. I look out the window, now hearing my neighbor’s dogs barking quietly. I look for coyote thinking that is what they are barking at, but see nothing. The moonlit grass on the lawn is whitish silver, looking almost as if it had snowed, and the water in the marsh sparkles in the moonlight. The deep woods behind are pitch dark, the home of many a creature. Nothing stirs. It is too early for the birds. The house across the way is always dark; it is up for sale. And in the other direction, at this hour, no lights shine in the driveway of the house down the road. I am reminded of a line from a poem by Tagore “Faith is the bird that feels the light when the dawn is still dark.” I am at my most faithless at 3 AM. Along with the supreme beauty of Tagore’s thoughts, a frivolous line from an old song runs through my head: “There ought to be a moonlight savings time…” and the line continues so there would be more time for loving. But moonlight in the middle of the night also brings with it intense dreads. Now chilled I finally go back to bed. An owl hoots in the distance– a reassuring sound. My husband is breathing freely now. His body is warm in the bed and I am filled with love for him as he lays in a heap, so trustingly in the arms of sleep. Our marriage a wonder. Unexpected. An endless source of ever increasing love brimming not only with joy but also the dread of loss. Perhaps all wives check their husbands for breathing. Perhaps there is an army of women out there prowling the wee hours of the night, at times by moonlight, checking on their husbands, their children, their animals to see that they all have that breath of life flowing. “There is one way of breathing that is shameful and constricted. Then, there’s another way: a breath of love that takes you all the way to infinity.” Rumi said that. And it is breath of love that I must master.